It’s that time again! 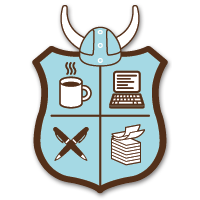 I’ve set up the site for my NaNoWriMo (That’s National Novel Writer’s Month for the uninformed. I have an outline ready to rock and it’s primed to outshine the first. “A Matter of Time” will be completed before the end of November and I’ll be posting chapters from it right here on MoD as I work on it. That’s right, that’s effectively a B.O.S.S. story EVERY DAY for the month of November. I have a lot more writing experience under my belt. For those of you new to the site, my major project is an Epic Fantasy Novel named “Two Destroyers”. Over the past few years I’ve been working on polishing it to a mirror sheen and I’m a little past the halfway point of it’s follow up, “Kingless Country”. I’m really excited about writing a whole book about Russel Belkin, AKA Micron. He’s a fun character that stole the show at times in “Rise of Chaos” and I have gotten great feedback on him. I think by letting him shine as the Protagonist will open the door to some series potential for Macro Corp. Any amount of exposure or success with it would mean a LOT to me. The Macro Corp, as I’ve mentioned in past posts, is something I’ve worked on since I was in middle school. It is, in essence, my earliest organized work. I considered a few things before settling on “A Matter of Time” including rolling in Krauner from my bboard RPG, Battle Zone Z. For this though I have a bit of a deeper story in mind that Rise of Chaos, framed around a simple conflict. Every Day? Mother… of… God! So stick with me in the month of November where I NaNoWriMo online! Please show your support with comments and well wishes, likes on Facebook, or Follows on Twitter. Buckle up. It’ll be a bumpy ride. Please note, I may make changes as I go, so the NaNoWriMo chapters are subject to change. I’ll be leading every post with a short update.